Google Really Does See All! I am going to my grave thinking that Google sees and knows everything about me! Maybe I am paranoid, but anyway, this new project is really cool! 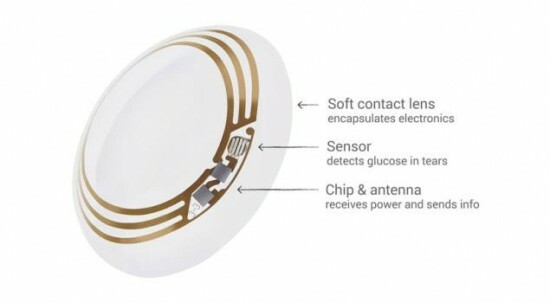 Google[x] has announced new project: smart contact lenses that can detect glucose levels via the wearer’s tears and alert them when levels dip or rise. Cool huh? According to project co-founders Brian Otis and Babak Parviz in a blog post, “It’s still early days for this technology, but we’ve completed multiple clinical research studies which are helping to refine our prototype. We hope this could someday lead to a new way for people with diabetes to manage their disease,” The lens works via a small wireless chip and glucose sensor embedded between two pieces of soft material. The current prototype puts out a reading once a second. Google is also interested in integrating an LED light, which could light up to alert the wearer of dangerous glucose levels.